Well, thanks to all the snow that we got here in Northern Virginia, I was able to get some work done on my mom’s Christmas presents. The snow here is at a level I haven’t seen since I was in elementary school back in ’96! 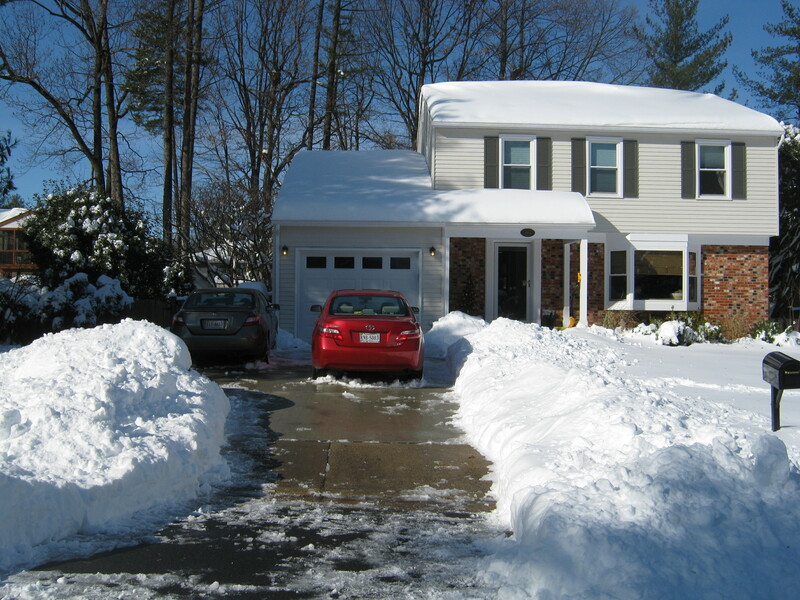 Here’s just a couple views of our street and our house after about 3 hours of shoveling snow. Because of all this insane amount of snow that we had — accumulated in only one day — I was able to get to start my mom’s other Christmas present while the one that I started originially had to sit because she would know what it was when she saw it. 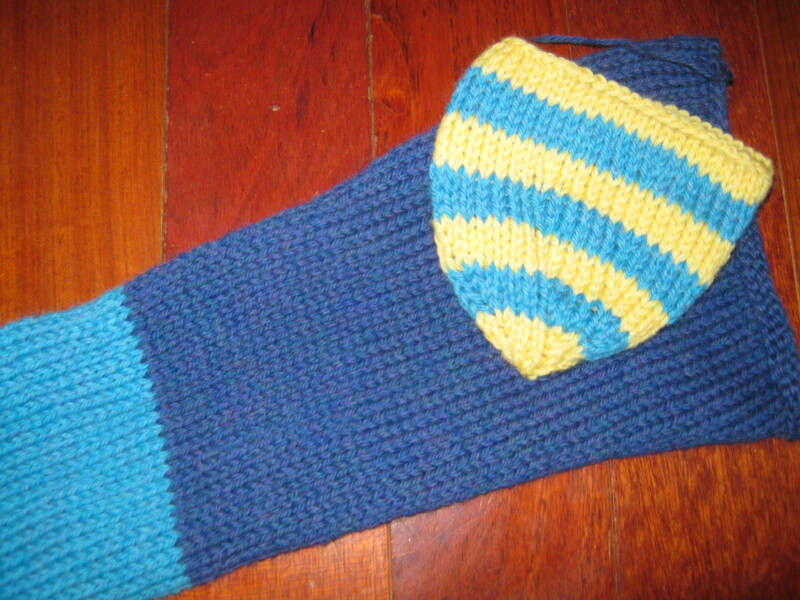 I’m making her the MancalaMia from knitty [here]. I’ve gotten the base of it done as well as one of the large bowls. Here’s the progress so far. 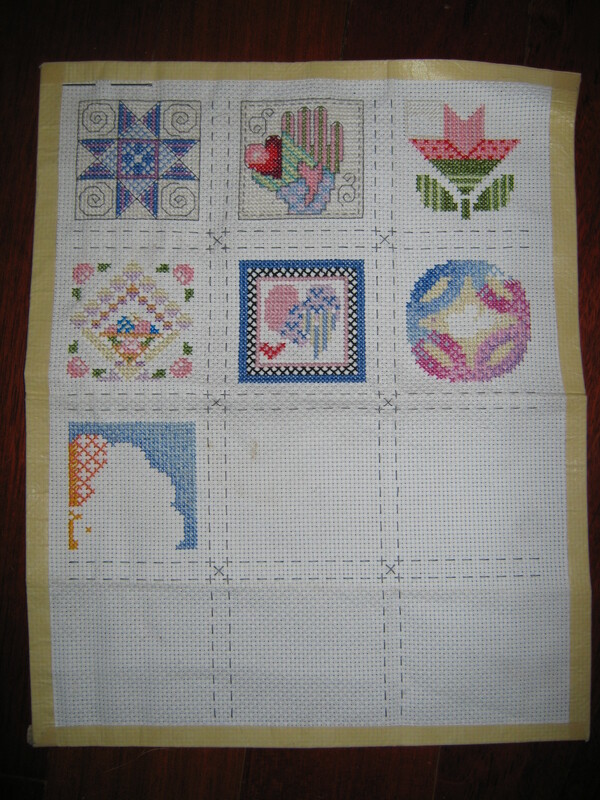 On top of that, I have been working on a great cross stitch for her as well. For those of you unaware, my mom is a huge quilter. 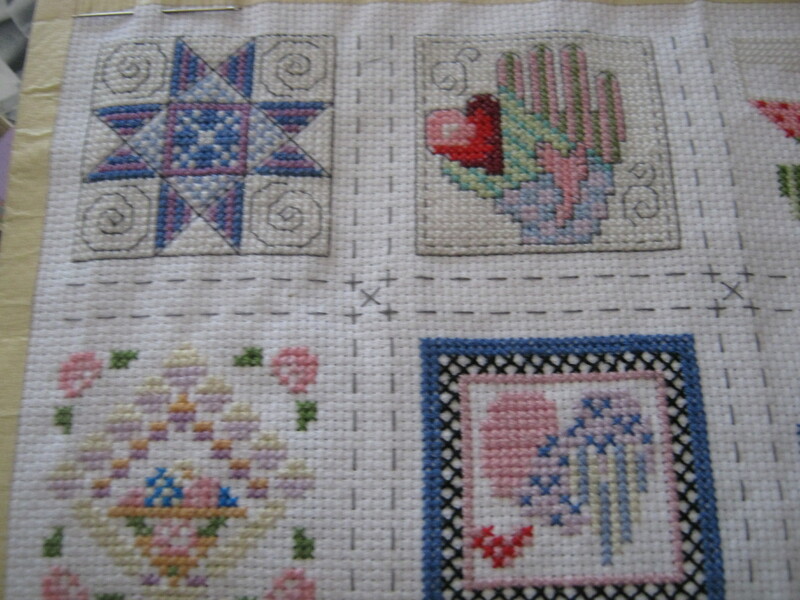 I found in one of my cross stitch books a pattern for a “quilt block of the month” cross stitch sampler. I began by completing each block, but quickly realized that the best way would be to get all the colors except white and the outlines and I have gotten much more done, although I still have more than half of it left. It really does look great! I have been working furiously because we’re leaving for Pittsburgh on Tuesday and I won’t be able to work on her presents if we’re together for it all, so I really only have about 36 hours to get these two done. Hopefully I can get to it all before then. At least it will give me the car ride there and the car ride back to finish everyone else’s presents. 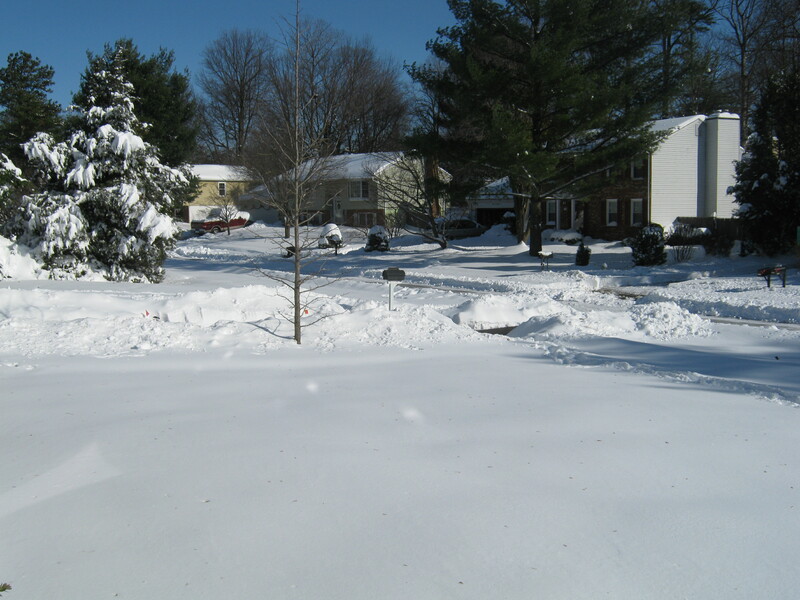 I hope everyone enjoys the snow around here and, from what I hear, up and down the east coast.